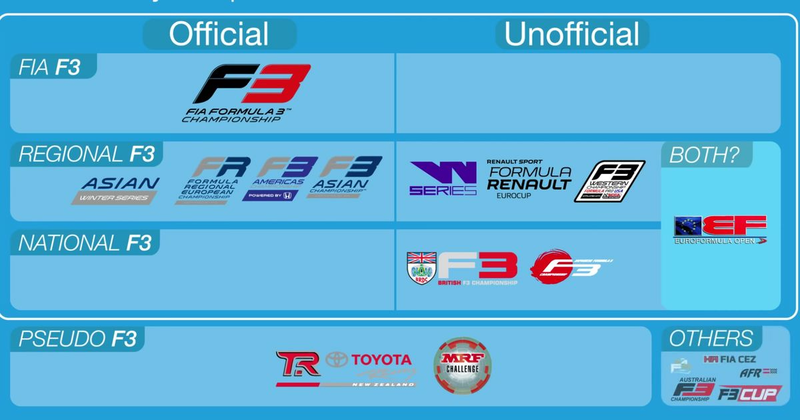 GP3 has been rebranded as FIA Formula 3 for 2019, yet there are also several other championships which are known as F3 and utilising different cars which also bear the Formula 3 name. The whole re-jigging of the single-seater ladder has been an attempt by the FIA to simplify the route to F1 but if anything, it’s actually just made a system that was already a bit confusing even more complicated. This excellent video from Redditor u/BosleyTree does an absolutely superb job of concisely explaining the minefield that is Formula 3 at the moment. If you’re curious, confused, or just want to know more, then this is well worth 10 minutes of your time!